All this bathroom remodelin' has really taken a toll on our time in the kitchen. At least, that's my explanation for why we haven't been to the grocery store for a month and have been living one meal at a time for the last few weeks. 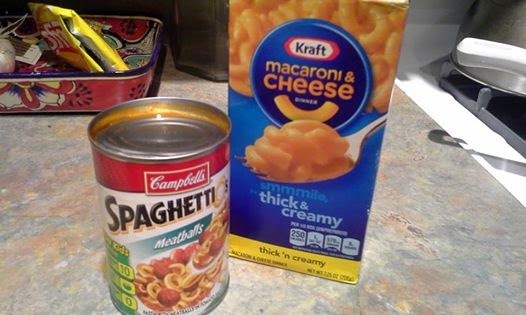 Exhibit A: a dinner consisting of Kraft Mac & Cheese for Bob and Spaghetti-O's for me. Oh dear. I finally broke out some old Cooking Lights (my 12-issue 2007 subscription still gives me new recipes each time I flip through them!) and created a grocery list fit for adults - no Spaghetti-O's allowed. First up, we made Grilled Salmon Tacos with Chipotle Sauce. I didn't pick up any actual Chipotle Chiles, instead settled for a teaspoon or so of Chipotle seasoning. This was combined with 1/2 cup mayo, 2 Tbs minced cilantro and 2 Tbs buttermilk to create the sauce. We also decided to mix up the call for green cabbage and stick with radicchio that was sliced up and added to 3 Tbs lime juice and 1/3 cup green onions. The salmon called for a BBQ spice rub that was easy to make with things we had on hand already: Hungarian paprika, salt, pepper, thyme, cumin, cinnamon, chili powder and brown sugar. We didn't feel like lighting up the grill (or spending the evening sitting in our alley, which is our unfortunate necessity when it comes to grilling), so we settled for a cedar plank on our stovetop grill pan. After 20 minutes or so, the fish was perfectly done and we flaked it into pieces for the tacos. A layer of sauce, the radicchio mixture, salmon, diced tomatoes and a little extra sauce on a flour tortilla. Yum. Expect a few more upcoming recipe posts thanks to our long overdue grocery trip!